An esthetic enhancing treatment to define your sense of beauty. This session will include refining exfoliation, masking and serums with potent concentrations and essential vitamins to enrich your skin and then ending with sensational hydration. Encompassing all the details needed to treat the complexities of aging skin. Designed for individuals with undesired sun spots and uneven skin tone. Serving a high dosage of brighteners to revive the appearance of dull complexions and lightening sun spots on the skin. Using exfoliants to lift hyper pigmentation and to enhance penetration, influential ingredients can then effectively address areas of concern. This treatment is very assertive with hyper pigmentation and your skin will look polished exuding a brilliant glow. This clinical treatment is for reactive and problematic skin that desires balance. A comprehensive system designed to combat breakouts at every dimension. Following a deep cleansing whip an enzymatic exfoliant will be applied to decongestant the skin and prepare for extractions. The treatment winds down with the Calming Seaweed Mask to fortify and balance the skin. You will be amazed at how fresh and clean your skin looks and feels. This treatment is also excellent as a back treatment! This treatment is for you if your skin is in need of tender loving care and deep hydration. At the core of the treatment will be gentle exfoliation to slough away dead skin so that nourishing actives can penetrate to replenish moisture. Mask treatments and concentrates will strengthen skins integrity and moisturizers will protect the skins barrier function and keep irritants out. An innovative treatment just for men that will leave skin healthy, smooth, and clean. Whether sports, work, or stress has left your skin feeling damaged or tired this is for you. This invigorating service includes warm steamy towels, thorough cleansing, exfoliation, hydration, and ends with a light scalp massage. This will surely leave you feeling completely-re energized. 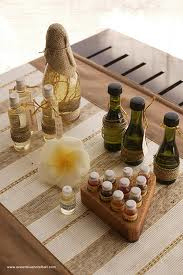 *All services listed above include a customized double cleanse as well as a complimentary hand treatment.